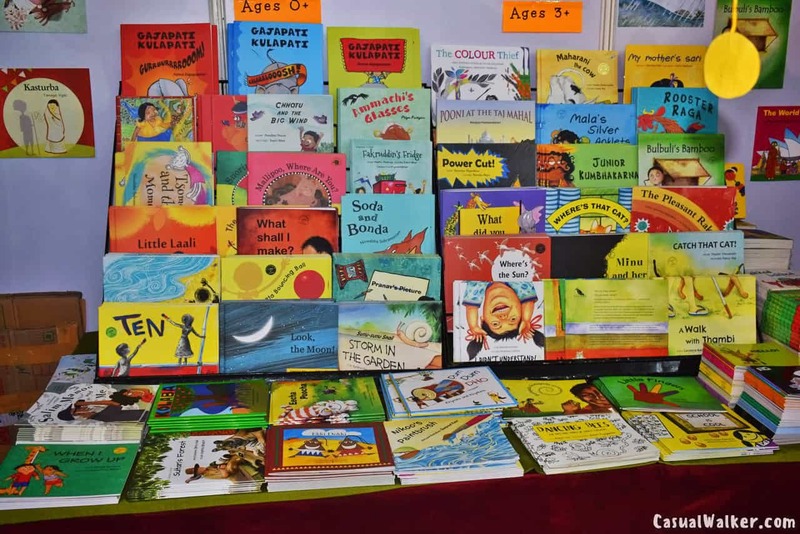 I went to the Chennai Book Fair, and came back with lots of hope! 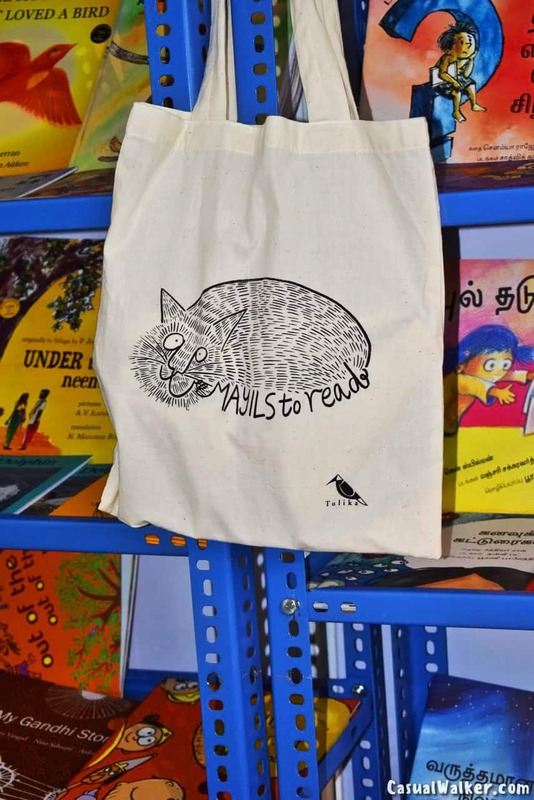 Every year, the Chennai Book Fair comes to town right on the heels of the Chennai Music Season, but clearly the Book Fair has a much larger appeal. This year, in its 42nd year, it has returned to the sprawling grounds of YMCA Nandanam. 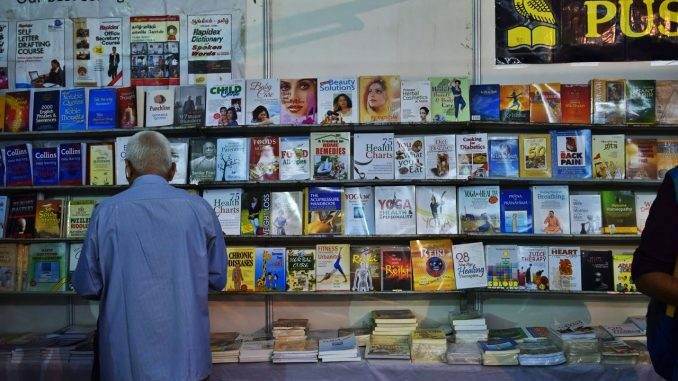 The newspapers reported that earlier this week, the Book Fair saw a record 8 lakh visitors on a single day! Over the course of 17 days, the fair expects over 2 million visitors. The organisers, Booksellers and Publishers Association of South India (BAPASI) have gone to great lengths to ensure that visitors have a good time. Traffic, both vehicular and pedestrian, is directed with appropriate signages and plenty of parking. There are multiple ticket windows, so that there is no line to enter. The aisles are wide and well- ventilated (contrary to my experience at most exhibitions) and there are several exit points, so at no place inside did it look too cramped or claustrophobic.. But boy! Was the place abuzz!! It became instantly clear to anyone who visited the Book Fair, that reading is not yet a dying habit, thankfully. People young and old are reading, techies are reading, grandparents, parents and kids are reading, officials are reading, college and school students are reading… People are reading. (On another note, the ASER report that 96% of Class 2 children in rural Tamil Nadu cannot read an age appropriate text, is very disheartening. How will our future generation know the joy of reading, if they don’t learn it young?).. 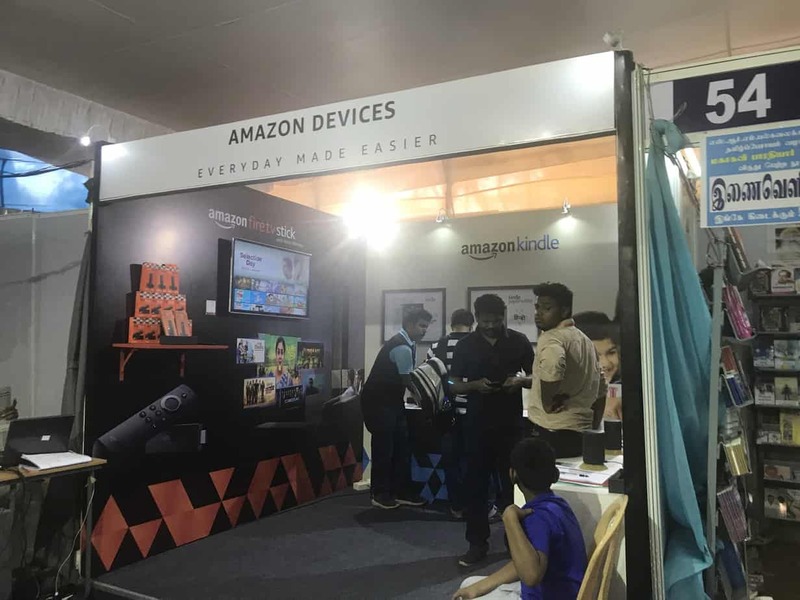 Yes, Amazon tries to make you read on the Kindle, and they were there at the Book Fair, trying to make you buy a Kindle.. but it was a solitary stall, and it was empty on a busy afternoon. Most people clearly want to pick up and browse through a book, inhale the wonderful smell of a new book, and then take it home – to curl up and read it with a cuppa. The number of publishers selling Tamil books was staggering.. happily so. 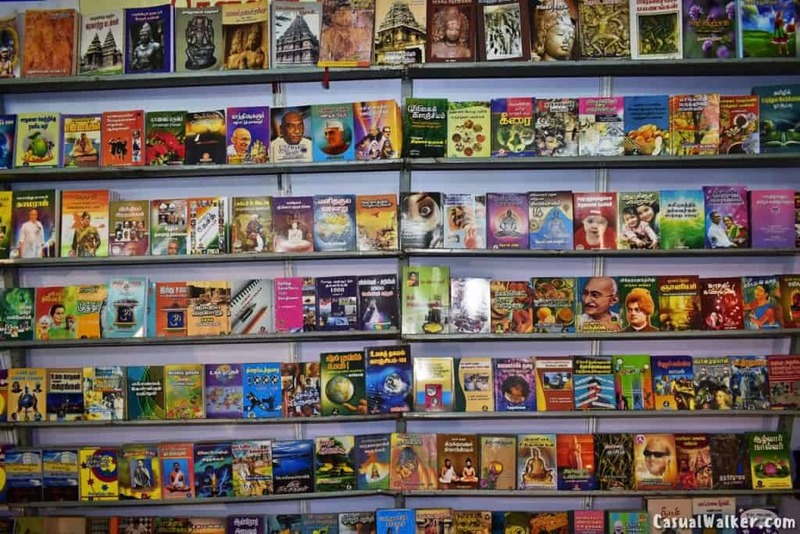 Tamil literature is a great treasure trove, and as I walked past stalls selling books ranging from Kalki’s classic Ponniyin Selvan to Bakkiyam Ramaswamy’s side-splitting Appusamy and Seetha Paati series, and from Thiruvalluvar’s Thirukkural to Subramania Bharati’s poetry, I said a silent Thank you to my grandmother, who had insisted, all those years ago, that I learn to read and write in my mother tongue. And I bought myself a Tamil book. Any and every publisher worth his or her salt was to be seen at the fair. From the giants of the business to tiny local publishers, they were all there. 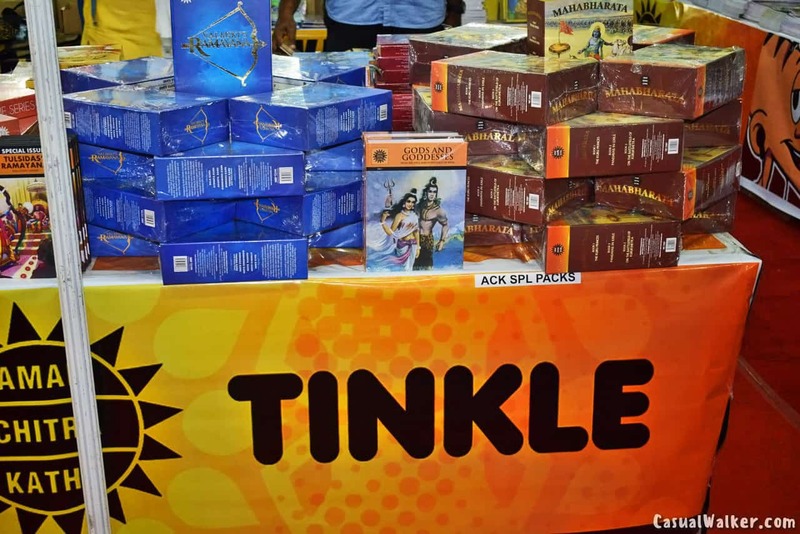 Another stall that had me instantly in flashback mode – Amar Chitra Katha. 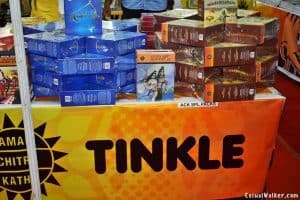 The brand is constantly reinventing itself and I counted many new titles – some historical and some contemporary – along with the ubiquitous Tinkle, at their stall. Books that coach students to take the UPSC exams are a big draw at the Fair, which in turn tells us that the IAS and other services continue to be great career aspirations for the youth of the country. Many publishers and academies are represented at the book fair, each trying to out-advertise the other. 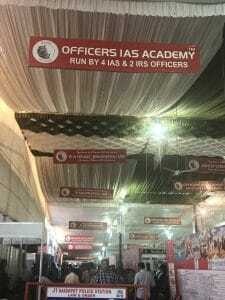 One academy had decked all the hallways in their red banners (almost Christmassy)! I also noticed that the TN Plastic Ban, which came into effect on January 1 this year, was mentioned prominently at many places, and hardly any stalls gave out plastic bags. Quite a few visitors had brought their own bags. 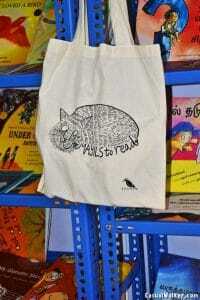 But sadly, many many booksellers were giving away non woven PP bags (which the public is misled into believing are cloth bags –they are not). There needs to be a lot more awareness on alternatives to single use plastic. Sigh…! I simply had to stop at the Self-publishing stall. (nope, no book for me on the anvil, but doesn’t hurt to find out what it takes). 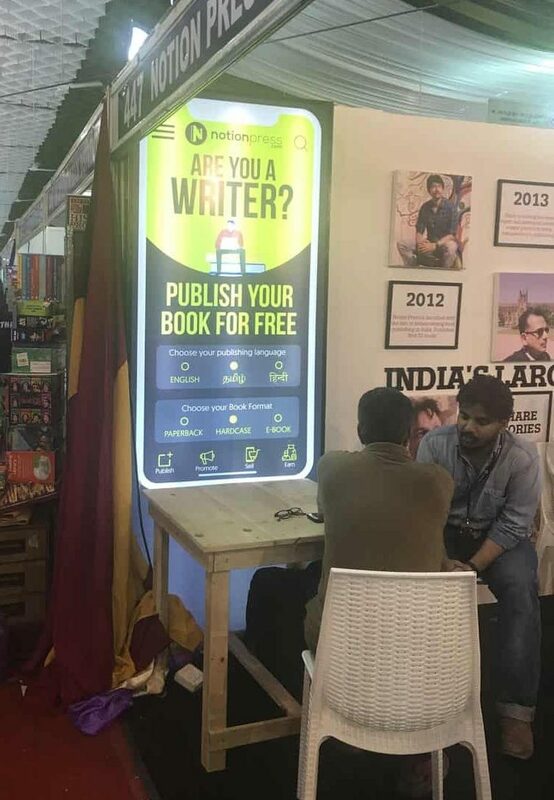 So they were explaining to the public, that like most everything these days, publishing too has gone online, and aspiring authors can now fast track their books from writing to editing to publishing! There are options to print physical copies or put them out as e-books. The authors can track sales, get marketing advice, etc. all online. Wow! That is all it takes?! Hope and joy, I got in plenty at the fair. The printed book is alive and well. Now all I need is some inspiration! To write one! In the meantime, please don’t miss the fair – for the first time they have extended it beyond Pongal – until January 20th. Yes, it’s time to raise a toast to our city again! 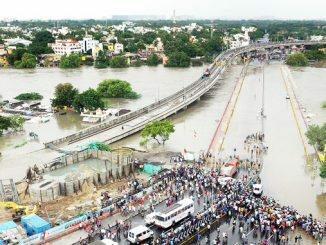 Are you all set to participate in the birthday celebrations of your favourite city, Chennai that was once Madras? 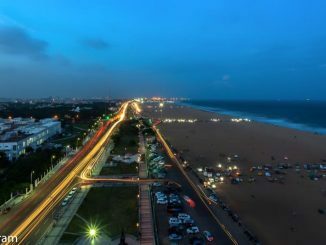 As Madras month commences, here’s a quick look at its history and how you could be a part of it over the next few weeks.